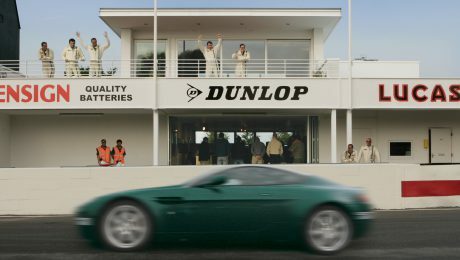 Goodwood Motor Sport runs two world-class motorsport events at the legendary Goodwood circuit in West Sussex. At the Festival of Speed – the largest event of its kind in the world – spectators can thrill to Formula One racing cars charging up the notorious hill climb circuit. The Goodwood Revival Meeting (held at the Motor Circuit), on the other hand, is steeped in nostalgia, with cars and costumes from the 1940s to the 1960s recreating motor-racing’s Golden Age. From their inception, and under the guidance of owner Lord March and designer Dudley Bootes-Johns we’ve designed and produced a wide range of items for both these dynamic events, including signage, banners, advertising, posters, ticketing, merchandise, invitations and a wide range of promotional literature. 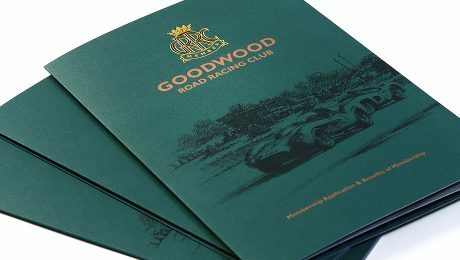 Historic race track and venue for the Goodwood Revival Meeting event – "a step back in time". Members get closer to the motorsport action at both the Festival of Speed and Revival Meeting.